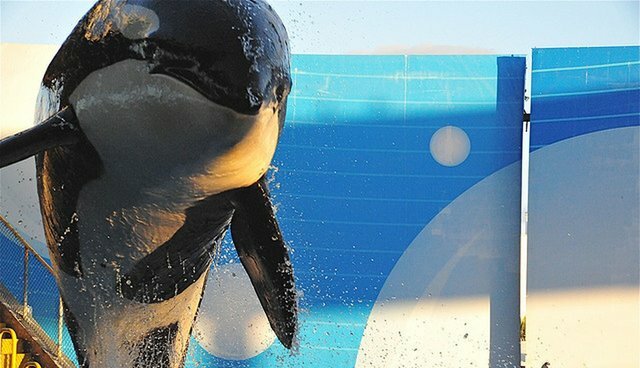 Poor animal care isn't the only way SeaWorld's executives are mismanaging their company. A clerical error has resulted in employees not getting their paychecks this week, the Orlando Sentinel reports. A spokesperson for SeaWorld said that "the matter has been rectified and the affected employees have been notified. We regret any confusion and inconvenience this has caused and will work with any team members that experience financial hardships from this delay." SeaWorld did not say how long the paycheck delay would last or exactly how many employees are going home without their salaries this week. A frustrated employee reportedly complained to the Sentinel that she's disappointed the troubled company has failed to make its workers feel that "the ship isn't sinking." This employee is far from the first to criticize SeaWorld. Several of the company's former trainers spoke out against its orca whale policies, like inbreeding, wild capture and separating mothers and calves, for the 2013 documentary "Blackfish." The film and its reaction have led to a series of financial woes for SeaWorld. After hitting a string of all-time-lows, the company's market CAP now sits at $1.63 billion - down from $3.26 billion on August 2013. Its CEO recently stepped down, and if this week's news is any measure, things are not going swimmingly at SeaWorld's headquarters.